These stories about Arethra being near death seem to appear every year or so. I just hope this one is BS just like the rest of them. "Aretha Franklin, Queen of Soul, Gravely Ill in Detroit, Winner of 18 Grammy Awards"
Don't you need to go to school before becoming a journalist anymore? Such a private lady I love Aretha. Sadly, I don't think it is this time. I'm in Detroit and just heard on the radio that she's been put in hospice care. it was reported on various new stations here in Detroit this morning. I've never heard of this showbiz411 website so I wasn't sure whether to take the story seriously or not. I would have tend to take it more seriously if the story originated from TMZ but we shall see. But I'm reading now a news anchor at a local TV station claims he spoke to family members and they are confirming the reports are true. I feat you are right. TMZ is now reporting that she is likely to pads today. And, whether we like it or not, TMZ has a good track record with gossip being priced correct. Let's send our prayers and best thoughts to Me Franklin and her loved ones. My aunt was battling cancer last year. She slipped into a coma and she transitioned about 12 hours later. Aretha is now home and according to sources is down to 86 lbs. in weight. Detroit news anchor that is close to the family says he actually spoke with here today. Some sources are saying she is in hospice care while at home. Forgive me for not caring 1 bit for artists who act as political tools for any politician working for any political party (as Aretha did). So that's about 99.99% of the attention-starved political tools in the entertainment industry then. Forgive me for not caring 1 bit for artists who act as political tools for any politician working for any political party (as Aretha did). Almost as crappy as singing for politicians. Politicians kill others routinely, en masse. She used her talents to act as a tool for said filth instead of siding with humanity. Just like 99.99% of popular entertainers do. For the cameras. For the 'prestige' of associating with filth. I'm pretty sure all but one of those was per presidential request. There's no doubt that politicians are the hand of coming interests and they're dirty, blood stained souls (if they even have one) but Aretha has also been through a time where it was damn near criminal to even walk around while being black. Segregation, Jim crow, discrimination; she'd even "performed" at the funeral of Dr King. Those things and motivations are and we're far separate from any desire to be in the spotlight. I'm sure she meant to use her gifts in a positive manner. geez. U could at least give her props for being a session musician for Columbia & Atlantic.. Damn. No respect for a monumental pillar of music in the 20th century..
A genuine writer, musician and incredible soul singer. She's also lent her voice to charitable causes, but why the vitriol when the woman is reportedly passing? ...what crawled up your @$$ and laid eggs? Sad to hear, one of the greatest voices of all time. 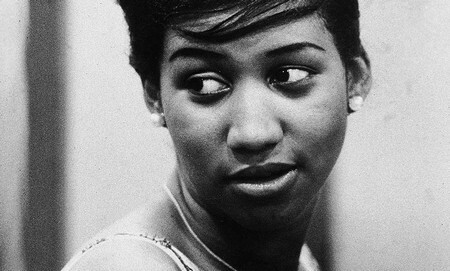 Aretha Franklin is soul, Lady Soul. Her music and power inspired female singers everywhere, not just R&B but all vocal art, this woman is a legend. I hope her passing is painless and comfortable. All up in my feelings right now. Don't forget her iconic role in The Blues Brothers (1980) - Think! It's amazing that she had hit singles in the 60s,70s,80s and even a few hits in the 90s.There was a time when artists had real longevity...they didn't just fade away after a few big hits singles. In the 80s,I liked many of her singles: "United Together" (1980),"Jump To It" (1982),"Every Girl (Wants My Guy)" (1983),"Another Night" (1985) and the excellent duet with George Michael,"I Knew You Were Waiting For Me". u want her to go on and suffer?